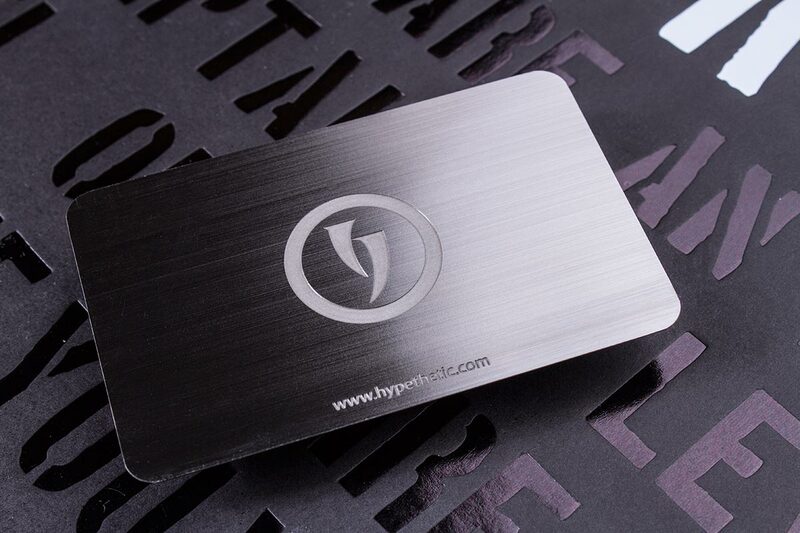 Iconic and beautiful, our stainless steel business cards leave a lasting impression. 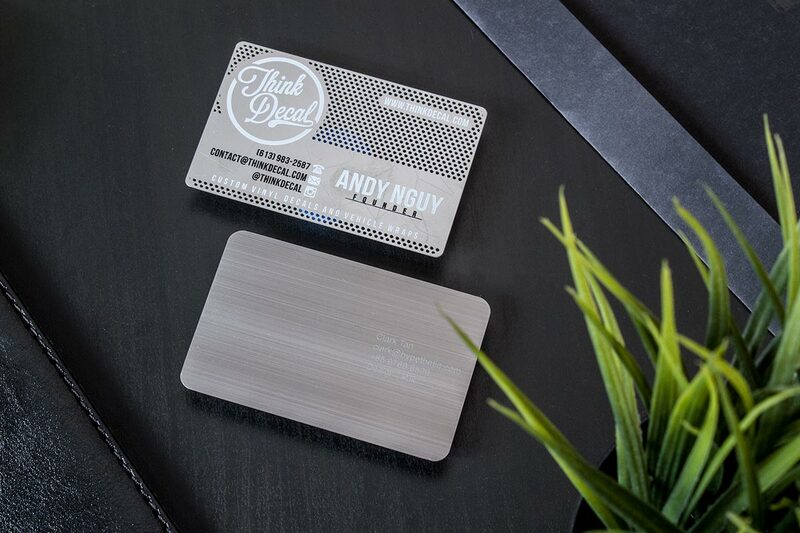 We offer three types of finishings for our stainless steel cards; brush, mirror, and original. These cards are perfect for the individual or business who want to stand out amongst the crowd. 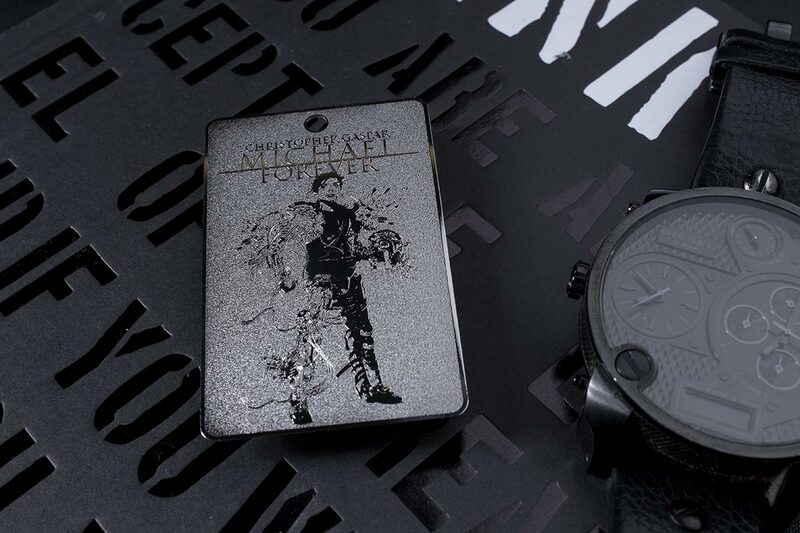 Etch, engrave, or cut through almost any text, logo, or pattern. Ink printing, variable data (ex: number ranges), and engraving all require additional costs. 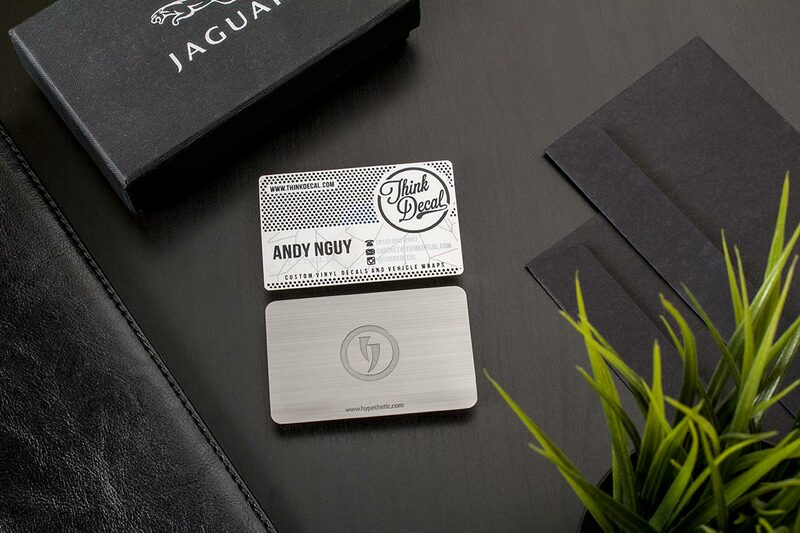 Our stainless steel business cards are produced in 3.5" x 2" size - which is the standard US business card size. Our stainless steel business cards are printed on a 0.5 mm metal. 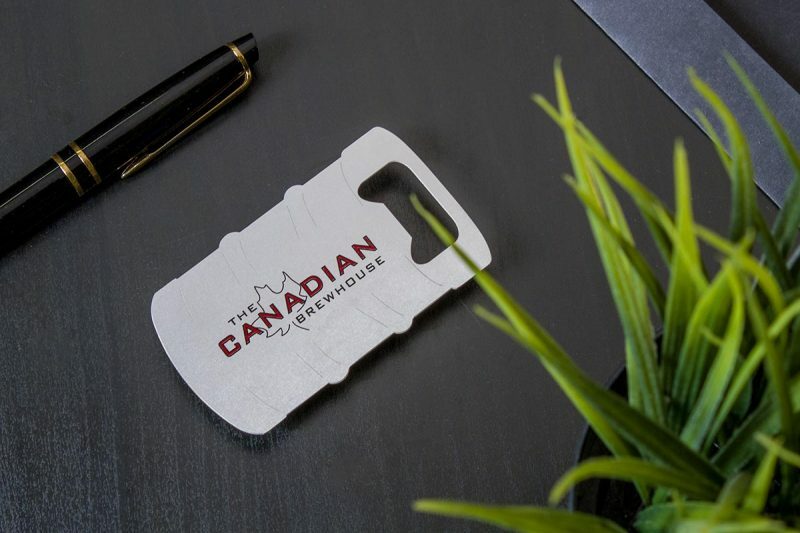 Custom die cut is included in the price of our stainless steel business cards. A die cut is the process where designs are cut out of sheets of paper or card using a sharp steel blade formed in to a specific design. The shapes for die cutting are limitless. Die cutting provides an extremely crisp, smooth edge cut that can include intricately fine details giving your artwork a distinctive look not able to be achieved with standard scissor and guillotine cutting. Choose whether you'd like your business cards to have variable data such as spot color or laser engrave. Variable-data printing is a form of digital printing in certain elements may be changed from one printed piece to the next, without stopping or slowing down the printing process. Choose whether you'd like your business cards to have spot colors. 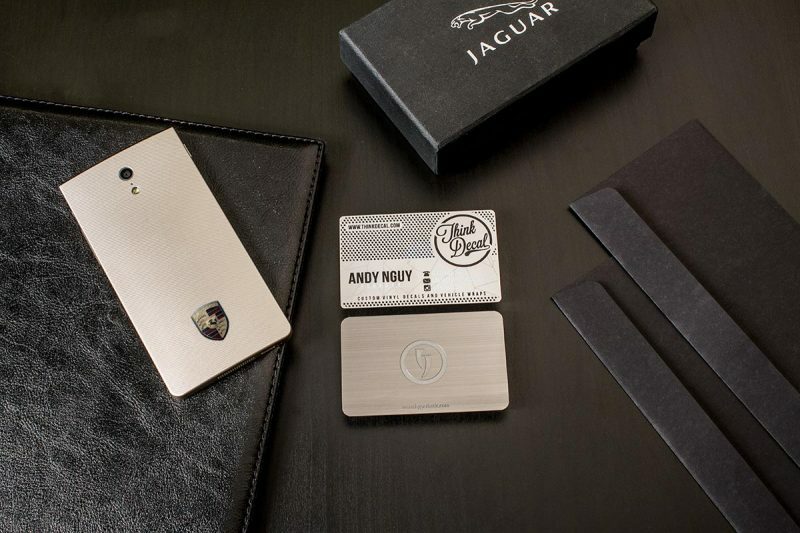 These iconic, luxury stainless steel cards are perfect for the business or individual that want to stand out from the crowd. Styled with either brush, mirror or original finishes, these eye-catching stainless steel cards can be etched, engraved or cut through unlimited logo and pattern artworks. We offer variable data (ex: number ranges), ink printing and spot colors on all our stainless steel cards to help you create a design that leaves your customers in awe.